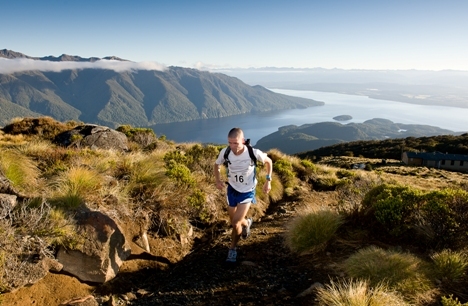 The Kepler Challenge is an awesome and gruelling 60km run around the entire Kepler Great Walk route, in the Kepler Mountains of Fiordland National Park. 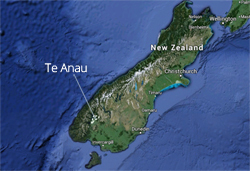 It is one of the world's most prestigious mountain run, and the start of it is from Te Anau. The front-runners in the race are highly competitive, and world-class athletes take part, with the fastest times generally around five hours on a route that takes trampers a minimum three days. Even getting a place on the run can be competitive; when entries open it fills up within a day, and there are always waiting lists. However, the race is also a great-fun community event, with drink stations all the way round staffed by locals in fancy dress or playing musical instruments. There is a prize for the most creative drink station. Whether you are running to win, or running just to take part, or just an observer on the finishing line watching winners come over in victory pose, or with blood, sweat and tears, it's a top class and family event in awesome National Park surroundings. For full information go to the Kepler Challenge website.